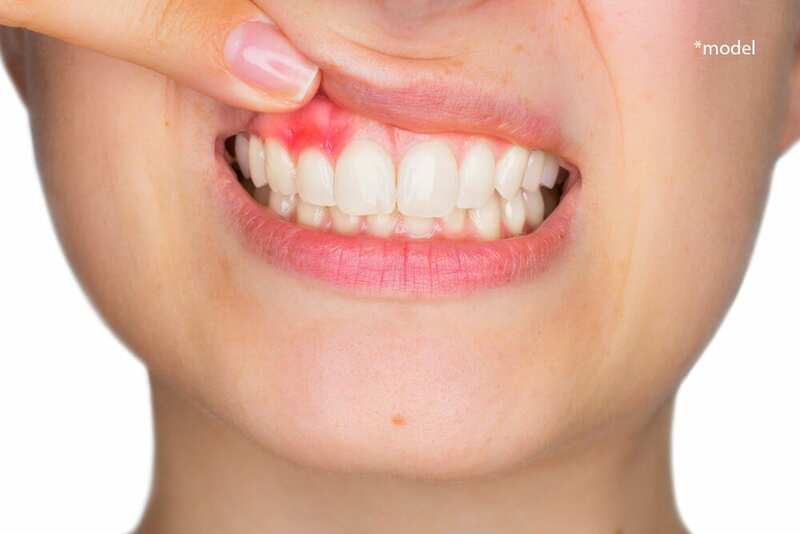 Gum disease has traditionally been treated by eliminating the gum pockets, trimming away the infected gum tissue and re-contouring the uneven bone tissue. Although this is still an effective way of treating gum disease, new and more sophisticated endodontic procedures using bone grafting material and tissue engineering are used routinely today to repair damages. One of these advancements is guided bone regeneration, also referred to as guided tissue regeneration. This procedure is used to regenerate bone tissue and stabilize endangered teeth or to prepare the jaw for dental implants. As periodontal disease progresses, pockets of degenerated bone develop in the jaw. These pockets can promote the growth of bacteria and the spread of infection. To address these pockets, Dr. Salamati may recommend tissue regeneration. During the regenerative endodontic treatment, the pockets are cleaned thoroughly, and a membrane is installed between the soft tissue and the pocket. Some of these membranes are bio-absorbable and some require removal. The membrane covers the pocket so that fast-growing soft tissue is blocked, and slower-growing bone can begin to grow, or “regenerate” itself. The effectiveness of the procedure generally depends on the patient’s willingness to follow a strict postoperative diet and careful oral hygiene. Dr. Salamati will help you determine if bone regeneration surgery is right for you.